"You are stubborn," said Roger Nowell. "I am not tame," said Alice Nutter. By no means she is. 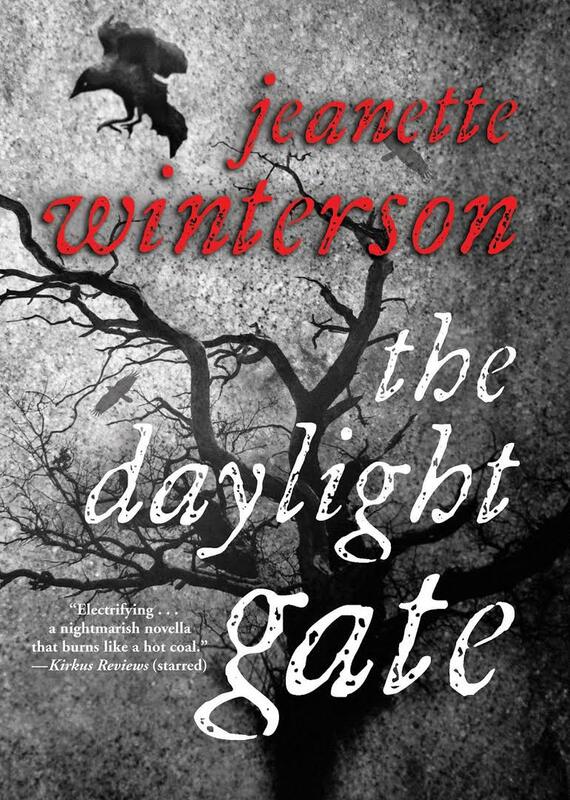 Jeanette Winterson's "The Daylight Gate" is a retelling of one of England's most infamous witch episodes; the Lancaster Witches. I have covered this ground before both William Harrison Ainsworth's "The Lancashire Witches" and in a more fantastic version with "The Last Apprentice: books by Joseph Delaney. The case is also related to "The Wonderfull Discoverie of Witches in the Countie of Lancaster" and even more remote "A Discovery of Witches" by Deborah Harkness. Winterson takes the story of the witches of Pendle Hill in Lancaster and retells it from the point of view of Alice Nutter, the odd one out in the witch trials. Unlike all the others accused she was well off, rich even, and more than a match for the powerful men in this tale. Really that is what this about; the differences between men and women, the powerful and powerless, the so-called just and the victims. It is easy to hate the men of religion in this and see the "witches" as helpless victims of circumstance. Indeed it would have been all too easy for Winterson to write that tale. Thankfully she is much more skilled than that. While she does not deviate from history's ending (much) there is some room for her to play around with this tale. The cameos of John Dee and Shakespeare were also quite fun. All in all I thought it was a great, fast read. What attracted me to this book was the time. King James was terrified of witches. He was a learned man, seemingly rational. Very well read and well educated. And utterly terrified of witches. The title refers to the "liminal hour" between daylight and night. Here I have talked about liminals and "in-betweens" forever. Witches are in-between Wizards and Clerics. My own Petty God, Nox and her companion Syla are also reflective of this. Nox is the Goddess of this time. I called it the "Near Dark" but the "Daylight Gate" is also appropriate. Syla herself is a liminal. She is between mortal and divine, as well as human and elf. The summoning that Alice Nutter uses at the liminal gate (and taught to her by John Dee) would also make a great spell to summon Nox. Witches in this book: 0, 2, or more than a dozen depending on how you look at it. Are Good Witches or Bad Witches: A little of both. Use in WotWQ: Alice Nutter is totally a Witch Queen! Maybe not in power, but certainly her attitude.